If you own a garden, no doubt you’re incredibly proud of it. But, to be a proud owner, you have to maintain your garden. This means getting rid of your garden waste every once in a while. Now, every homeowner will agree that garden waste removal can be a major headache. Not only does the waste need to be collected, but it must also be disposed of properly. This is one reason why many people put-off garden maintenance. But, things need not be this way. There’s an incredibly simple solution to garden waste removal – making use of 4 Waste Removals. 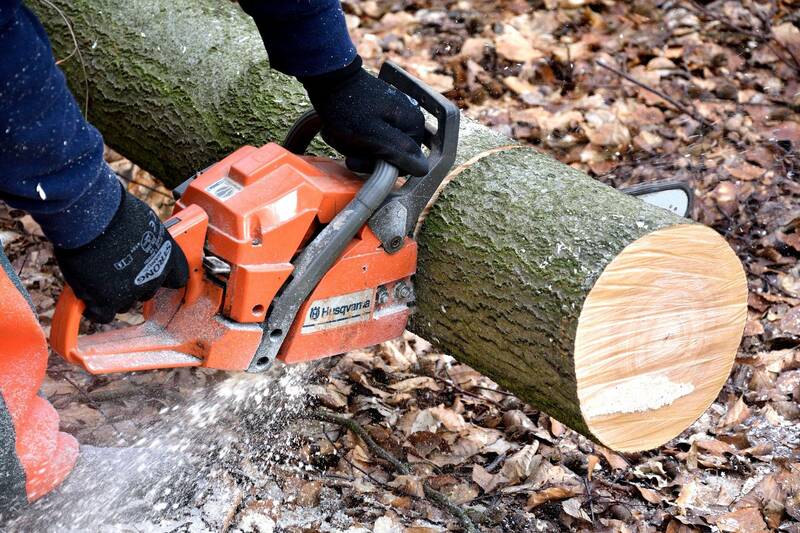 Our services will enable you to remove garden waste quickly and easily without too many hassles. Wondering how our services will make you the proud owner of a garden once again? 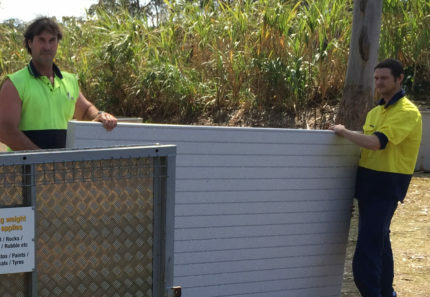 Continue reading this post, and when you’re done reading, you’ll know exactly how to tackle garden waste removal in Brisbane. 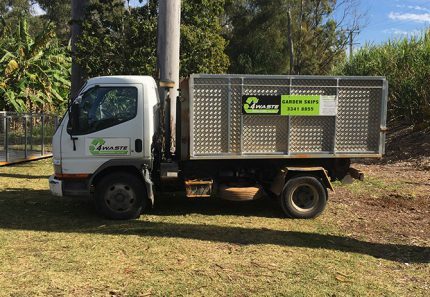 At 4 Waste Removals, we offer garden skip bins and garden bags to help Brisbane residents get rid of their garden waste. While our garden skips can be used to dispose of large amounts of waste in one go, our garden bags allow you to dispose small amounts of waste on a regular basis. With our garden skip bins, you can give your garden a spring-clean whenever you want. All you have to do is hire one of our garden skips, and we’ll get it delivered to your location. Once the skip arrives, simply load it up with your garden waste and our rubbish removers will dispose of the waste for you. The result – you’ll have a clean garden with very little effort on your part. And, once you’ve cleaned up your garden, you’ll need to maintain it by disposing of waste periodically. For this, you can simply hire one of our garden bags, and we’ll deliver it your location. 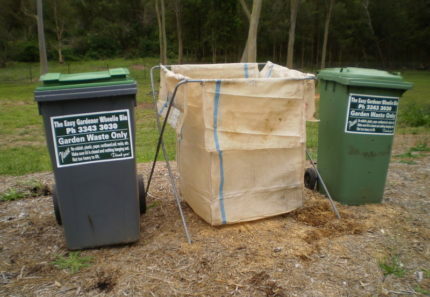 You can fill up the garden bag and decide on a waste collection schedule. Our rubbish removers will collect the waste depending on the schedule you decide on. We’re all about making garden waste disposal as easy and efficient as possible. That’s why we offer our garden skip bins in large sizes – 8m³ and 12m³. This allows you to dispose any amount of waste – from as little as 2m³ through to 12m³ into our skips. And, we’ll charge you only for the amount of waste you fill so you don’t need to worry about overpaying. On the other hand, our garden bags may be much smaller than our garden skips, but they are large enough for weeks of garden waste. Our team of rubbish removers make sure that garden waste removal is easy for you. They’ll take care of disposing of your waste properly once you fill it into our garden skips or garden bags. 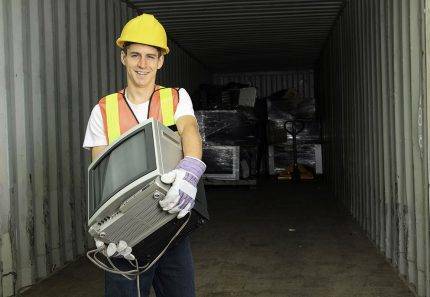 And, if you don’t feel like collecting your waste, we also offer a hands-on waste removal service where our professionals will do everything for you. With us around, garden waste removal will never be a problem for you! 4 Waste Removals is all about making garden waste removal quick and easy for you. We offer garden skip bins to remove large amounts of waste and garden bags to remove small amounts of waste on a regular basis. Our garden skips are large enough for all your waste, and you never have to worry about overpaying when you choose us. And, we even offer a hands-on waste removal service if you’d like our professionals to do everything for you. Make garden waste removal a problem of the past. Get in touch with us to hire one of our garden skip bins or our garden bags today!